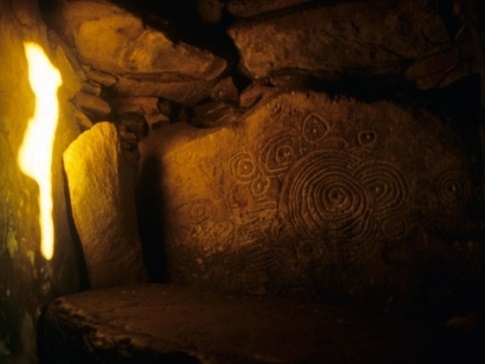 Samhain is the dark start of the new yearly cycle. 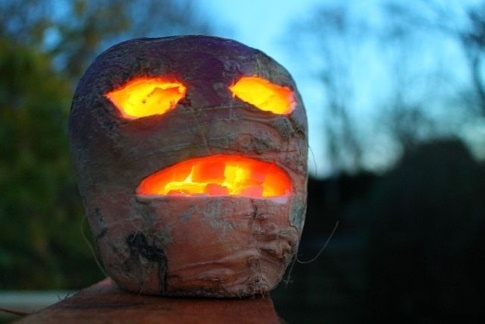 Samhain: Jack O Lanterns originated in Ireland and consisted of a turnip carved into a head with a candle inside. When the Irish went to the States they found pumpkins easier to carve, so the tradition continues. 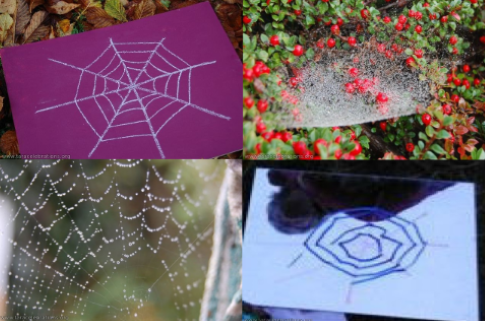 The web of life is woven in nature and in ceremony at Samhain. 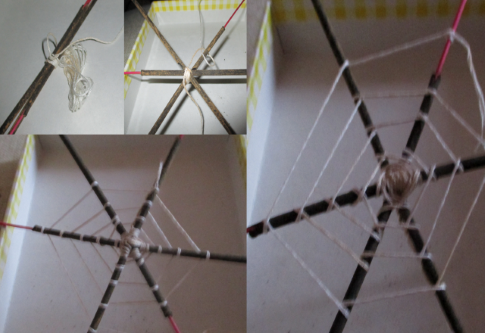 3 old rose scented jossticks made great sticks for weaving this spider's web. The Salmon return to the River Boyne in Meath at this time of year. Return of the Salmon festivals are particularly celebrated along the Pacific North East coast and it is interesting to wonder if our ancestors also had a similar festival which we have now lost. 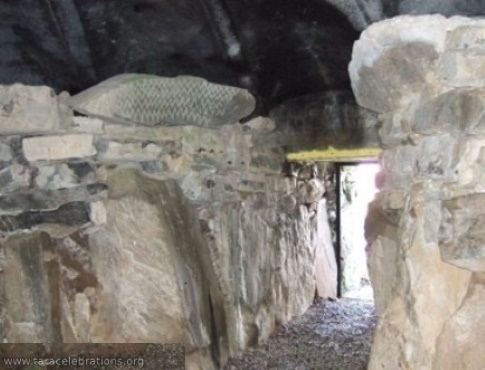 It has been suggested by some that the stone on the left in Fourknocks has a resemblance to salmon skin. In this youtube video by Meath Chronicle they are leaping the weir at Slane, on their journey back to the spawning streams. They wait in the river between Drogheda and Slane for heavy rainfall, the extra flow of water helping them on their way over the weirs between there and Navan.